20 kilometers from Bhuvaneshwar by Bus takes you to The Garden of Pleasure, otherwise called Nandan Kanan, inhabited by the majestic member of the fauna family, the white tiger. The year 1980 saw a jubilant moment when a litter of white tigers was successfully breed out of colored parents amidst the natural environment at Nandan Kanan National Park. 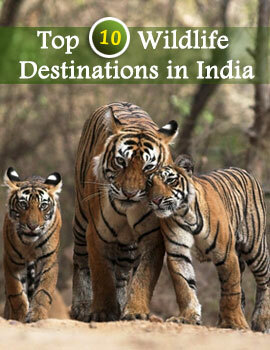 Home to 34 white Tigers, Nandan Kanan also boasts its treasure trove of a wide array of flora and fauna. Declared as a National Park in 1960, Nandan Kanan National Park includes Chandaka Forest which is the store house of its floral habitat. For an Ornithologist the watchtowers enabling a glimpse of some rare species of birds, some indigenous and others migratory, makes it a veritable paradise. 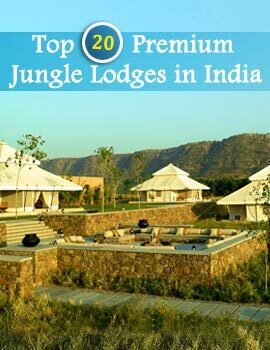 You can also indulge your lavish time among the amiable creatures kept at Nandan Kanan Zoo. Tiger and Lion Safari constitutes an important aspect of the Jungle visit at Nandan Kanan, in which you can also come across the famous Reptile Park, Nocturnal Animal House and Aerial Ropeway. All these places enhancing the beauty of nature belong to the large family of Nandan Kanan National Park, for which beauty is the keyword. "Cold Pastoral! When old age shall this generation waste, Thou shalt remain, in midst of other woe Than ours, a friend to man, to whom thou say'st, "'Beauty is truth, truth beauty,' -- that is all Ye know on Earth, and all ye need to know."